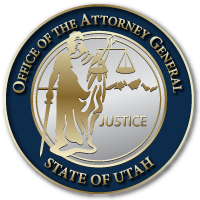 SALT LAKE CITY April 28, 2017 – The Utah Attorney General’s Office (AGO) encourages Utahns to participate in the Utah Take Back on Saturday, April 29, from 10 a.m. to 2 p.m. at locations statewide. Utahns can prevent pill abuse and theft by ridding their homes of potentially dangerous expired, unused, and unwanted prescription drugs. Find a take-back site at www.utahtakeback.org. The service is free and anonymous, no questions asked. Additionally, eco-friendly reclamation bags donated at no cost to the state will be available for distribution from take-back locations. “Prescription drug abuse, particularly for painkillers, has risen to epidemic levels nationwide, and Utah is no exception,” said Attorney General Sean Reyes. “Prescription drugs, when administered and taken responsibly, can be a productive tool for pain management. But far too often, what begins innocently can lead to dependence and devastation. “In addition to overprescription, unauthorized access to even properly prescribed painkillers is one of the biggest drivers toward addiction. Many users of street drugs like heroin start by abusing their own painkillers, then move to finding other people’s prescription drugs. Addicts may be soccer moms or executives. They can be our kids, grandkids, kids from the block, good students or bad students included. Improper disposal of unused and expired medications leads to damage of our environment. In the fight against opioid addiction, the AGO is grateful for eco-friendly reclamation bags donated at no cost to the state by private companies like Doterra and Mallinckrodt to thousands of Utah Take Back locations around the state. The bags can be filled with any pills, which they will dissolve and neutralize. Measurable amounts of antibiotics, antidepressants, and medications have all been found in U.S. lakes and rivers. The eco-friendly, medication disposal system produced and donated for the Utah Take Back is highly effective in absorbing and firmly binding pharmaceuticals, rendering chemical compounds safe for landfills and reducing watershed contamination. Utahns can prevent pill abuse and theft by ridding their homes of potentially dangerous expired, unused, and unwanted prescription drugs. Drop off unused, unneeded, and expired drugs is tomorrow, Saturday, April 29, from 10 a.m. to 2 p.m. at locations statewide, in addition to year-round locations. The service is free and anonymous, no questions asked. For more information about the April 29th Take-Bake and to find a collection site near you, visit www.utahtakeback.org. This entry was posted in Recent Posts and tagged Opioid Crisis, Utah Take Back on April 17, 2018 .